Jackentasche is a combination of a jacket, bag and closet. 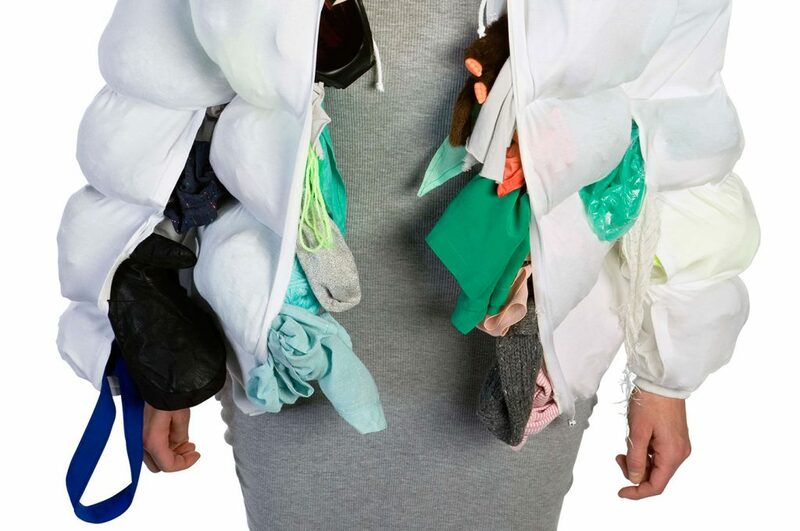 The jacket is made out of two layers with big pockets, where clothes or other things can be stored inisde. The upper layer is a very thin cotton textile, colored objects inside the jacket are shining through and change the color of the jacket. The colder it gets the more things can be put inside. In summertime it can be worn without things, in winter it can be filled with summer clothes. At the same time it can be used as a bag, no travelling with a suitcase anymore, all things are savely packet inside the jacket. The form of the jacket changes by the amount of clothes inside, the more things the more impressive the look. 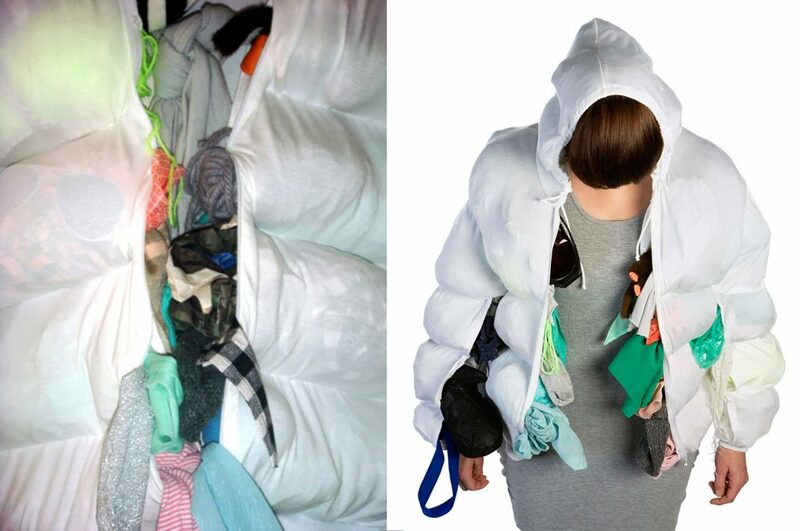 On a hanger at home the jacket turns into a closet.